Looking for a place to relax and get away from it all, yet be close to some of the more interesting sites in Europe? Take a closer look at a village of just over 500 people with a thermal spa, a luxury hotel that's reasonably priced, evocative abbey ruins, and a small but compelling medieval center. Welcome to Alet-Les-Bains, located in a region called Razés between Limoux and Quillan in Cathar Country. Alet-les-Bains is beautifully situated on the right bank of the Aude river on a small plain surrounded by mountains, 26 km (16 miles) south of Carcassonne on the D118 roadway and located 7 km (approximately 4 miles) from Rennes le Chateau. In 813, Alet was the seat of an abbey founded by Béra, Viscount of Razés. The ruins you'll see are the remains of 12th-century expansion and include the Notre Dame cathedral. The abbey was destroyed in the religious wars surrounding the Cathar purge and pretty much untouched since. The tourist office is adjacent to the abbey ruins and someone can let you in to wander around, even when it seems everything is locked up. 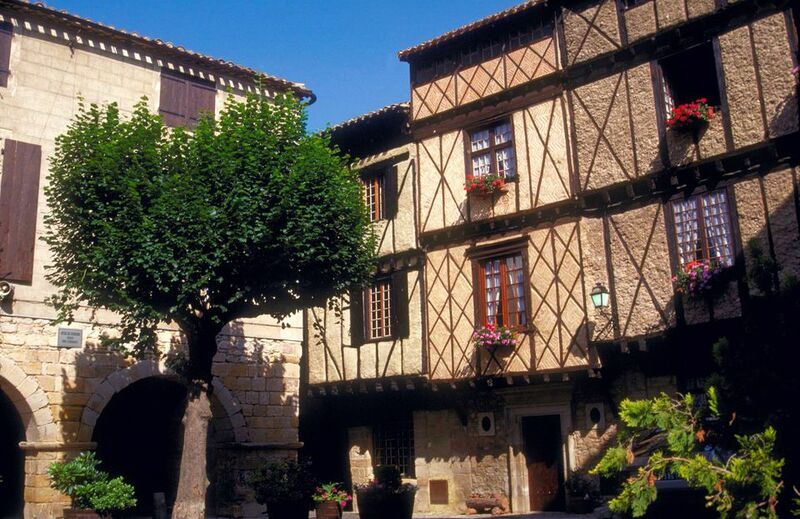 The historic village of Alet-Les-Bains includes a delightful medieval square featuring traditional (and nicely restored) medieval houses, including the one where Nostradamus was believed to have lived. There is a small restaurant in the square. The spring waters of the spa are reputed to be good for the treatment of digestive disorders and metabolic afflictions (think obesity, diabetes, gastritis, and colitis). Some say that Charlemagne took a dip here for his digestive ills. Even if you don't manage to get to the spa, you can purchase Alet mineral water to soothe your aching colon. While you're in the area, you'll want to visit the best Cathar castles, of course, as well as the city of Carcassonne and Rennes le Chateau. A good choice for those wishing to visit Alet-Les-Bains is the elegant yet inexpensive Hostellerie de l'Eveche. The Hostellerie de l'Eveche was opened in 1951 in the old Episcopal Palace, restored to its state at the time of the Bishops. It's undergone several restorations since and has a fine restaurant featuring regional cuisine run by chef/owner Christian Limouzy. Another alternative for those wishing to rent a house for a longer period is the centrally located gite (holiday house). Inside the Moulin Rouge: Spectacular Display, or Dull Cliche?